Maybe someone out there needs this reminder like I did just a few nights ago. Feelings can feel so strong, can’t they? However, even the strongest of felt feelings remain that…feelings. Even the strongest of feelings are no match to the truth found in God’s Word. 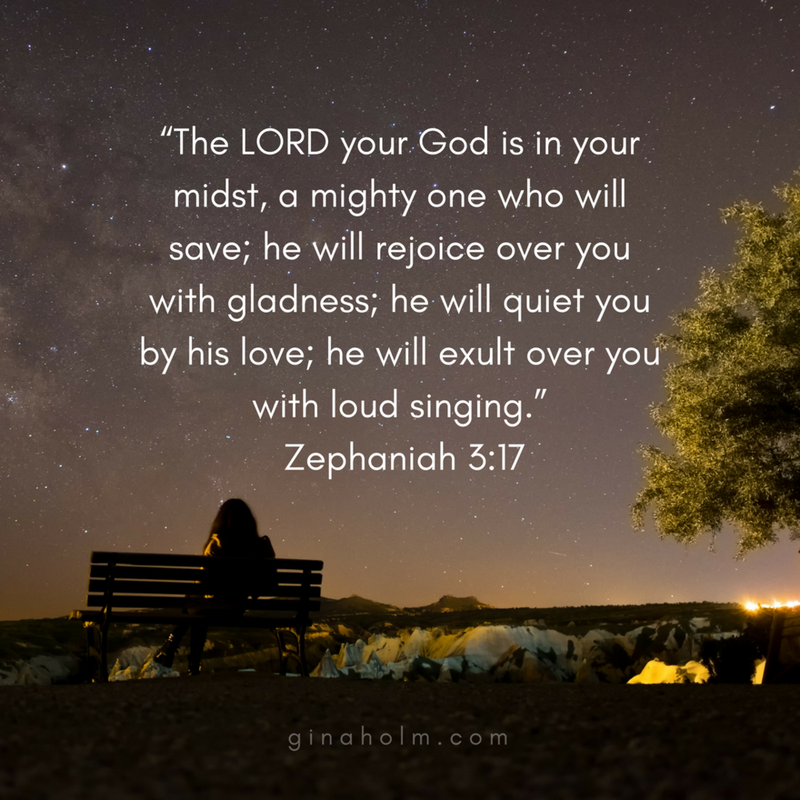 While God did not bring the storm to a quick end like I know He is able to do, being the gracious God that He is, He quickly tended my aching heart by reminding me of one of His many promises. 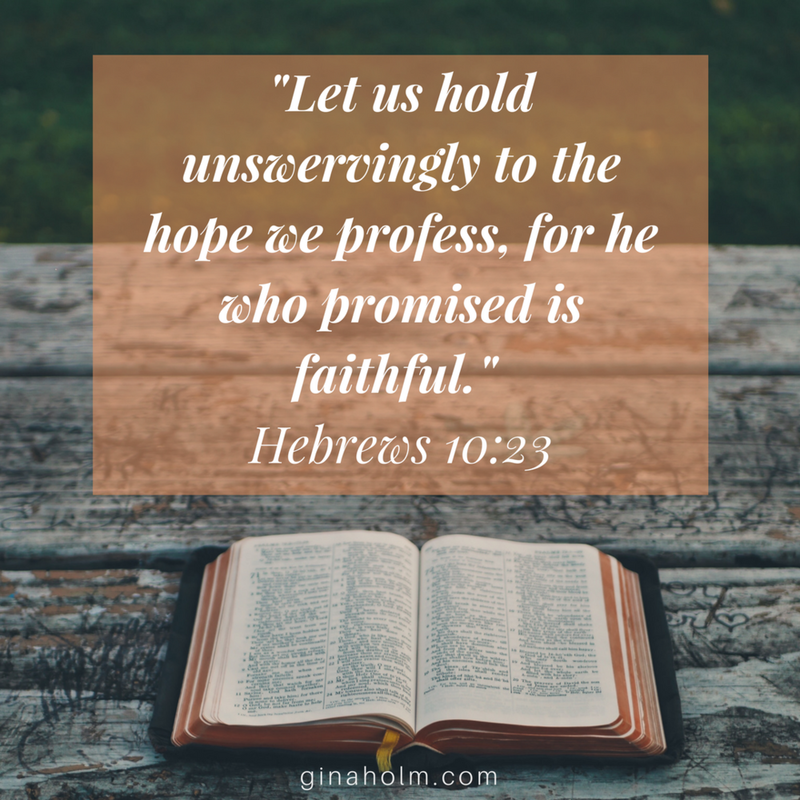 The promise that regardless if the sun is shining or the sky is grey, as long as I seek Him with all my heart, He and his plans full of hope for a future will be found. (Jeremiah 29:13-11 in that order). People often say that a picture is worth a thousand words. And it's true. However, I have often thought that a picture can also capture a thousand unspoken words. You know, the moments that can only be seen when you know what you are looking at. What started out as a ministry photoshoot ended up capturing some sweet family moments for me. I told the kids that they could wear whatever they wanted. There was no time to plan any outfits so I was not going to pick that battle. Now, if I had only show you one of these pictures, you would have never been able to see the chaos that was going on in my head the day the pictures were taken. Our oldest son came out wearing a coat, which made perfect sense being that it was winter. Our middle son comes out, apparently dreaming about summer and wearing a short sleeve shirt…in the middle of a cold winter day. And while our youngest was wearing a 3/4 sleeve blouse that was closer to winter, the season it actually was, it would be more suited for the fall months. Now. Being the visual person I am, the chaos in my head was not because I wanted a “picture perfect moment” I gave up on those years ago. While I may need to catch myself from time to time, I have fully embraced that there is no such a thing as a picture perfect life. However, I believe that a picture can capture a thousand wonderful unspoken words and moments…if we pay close attention to what we are looking at. I don’t know what you may see by looking at this pictures, but here is what I see. As I stared at these pictures a few weeks ago in the quiet of our living room, trying to decide which ones to have printed and framed, All I could do was be thankful. I laughed out loud and cried a couple tears. You see, when I look at these pictures, I see God’s enduring love and faithfulness staring back at me. When I look at this pictures, I see my sweet man. I see a man that works hard and takes care of us…no matter what. I see the battle scars that have come with almost 19 years of marriage. I see the victories of a love that doesn’t give up because the giver of that love, Jesus, is the One that holds it all together. I see us working hard and intentionally holding on to each other in the midst of life trying to pull us in a million different directions. And when brokenness comes our way, we make the choice to hold fast to the hand of God and to each other. No, we don’t always get it right and it can get messy at times, but I there are a lot of good unspoken words here. I am thankful. Through these unplanned captured moments, I see each of our fearfully and wonderfully made kids. I see each of their personalities and how even in the midst of navigating the realness of all the wonderful and hard things the teenage years hold, they remain God’s most treasured gift to my man and me. When I look at these pictures I see our boys becoming young men and bravely figuring out their place in the world. I see them finding the courage to work through the storms that have come their way. I see them having fun and being willing to invest in strong friendships, friendships where they are not just liked but also known for who they are. Yes, I see the hard places, but I also the good and there is a lot of it. I am thankful. Through these pictures, I see my sweet baby girlfriend’s hard boot on her right foot. She ended up with three stress fractures last fall and had to sit out the remaining of the soccer season (a sport that she loves) and take time to heal. Yes, I see the disappointment that she felt, but I also see her sweet and courageous heart. In that season, she learned to pay closer attention when other kids felt lonely or unintentionally left out on the playground and she would find ways to encourage them. I see a lot of good there. I am thankful. Sweet friend, I don’t know what “thousand words” your “pictures” may be trying to say to you. My prayer for us today is that we would stop comparing our pictures. Remember there is no such thing as “picture perfect” life. Instead, let's cheer each other on to find the good and often missed unspoken words in our pictures. My prayer is that with our arms lifted high and our hands open wide, we would “Give thanks to the Lord” knowing that “He is good” and believing the truth that no matter what a picture may be screaming at us, “His love endures forever” (1 Chronicles 16:34). It was time. It was time to start letting go and start singing again. I had glanced at that stack of files long enough. They had been sitting in the same corner of the file cabinet since the day I laid them down. I had dusted around them countless times ignoring them because it just hurt to much to do anything else with them. There were many times that as I dusted around them, I thought about just tossing them out. Yet every time I thought of it, God would whisper, "We need to go through these files, Gina.” And I would gently whisper back, "Not yet, Lord. I need a little more time." After all, we often hear that time heals all things, right? We ask for more time forgetting that Jesus is the only One that can provide healing…not time. The files represented so much brokenness, disappointment and what felt like a great failure. Looking back, I believe my hesitation to go through them was not knowing how I would feel about "the loss" of some of those dreams even years later. But I decided to press into the unknown and work through the sifting process of all that those files represented. And I am so glad that I did. Little did I know the surprises that would be waiting for me. So much of what once felt dead or lost God had redeemed and given new life to it. Now. I can’t tell you that God had not reshaped some of them in the restoration process…but they were so much better. Little did I know that the reason God wanted me to go through the files was to remind me that while we should dream big for God, even our most prayed for and well thought out dreams don’t compare to the dreams He has for us. He reminded me of what happens when we allow Him to put the final touches on those dreams when we move out of the way and watch Him do what only HE can do…in His time. I have spent the last year sharing and celebrating the publishing of my first book, #peaceinthebrokenness, A book I didn’t know I would write, let alone be published. Much of the writing of Peace in the Brokenness happened in the same corner where those files I dusted around where for far too long. Little did I know that God would use the sifting in my heart during that writing season to also bring healing, mending, and restoration to the brokenness, disappointment, and failures sandwiched between those files. And yes, almost all of those files got shredded and tossed out a year ago today. I did it without the slightest hesitation and with indescribable peace in my heart. I say almost all them got shredded and tossed because there were some that needed to be kept. Some he told me to just hold on and keep trusting Him for His timing. Others I kept because of the treasured lessons learned in that season. And yet others held the written notes of encouragement and prayers people shared with me during that season without knowing how much I was needing them. Sweet friend, I don't know what files you may have in front of you. I don't know what they hold. I don’t know what loss, dreams, or failures they may represent. But please let me encourage you, don’t wait around for "time to heal." If healing and restoration are what we are after, we must start by taking whatever may be broken in our lives and bring it to God. Because when we do, when we finally come to the end of ourselves and lay down whatever may be broken at the foot of the cross, God, not time is faithful to heal, renew, and restore. Because that's just Who He is, redeemer, healer, and restorer. Now. I won't pretend that any of this of this is easy. It’s not. When I finally laid the piece of my heart those files held at the feet of Jesus, I didn’t understand the “why” part of it. Why did it have to be that way? To be honest, I still don’t understand the why of much of it. And maybe I never will this side of heaven. But here is the thing, like you I may not always understand the “why” but I know the “Who,” Jesus. And I know that even when I cannot see even a glimpse of what His plan is, I know that He can be trusted. I know that He holds all the unknowns in His hands…All of them. The thing that I am being reminded of today as I write to you is that there will always be a set of “files” to work through because there will always be things that remain out of my control because, well, maybe they were never meant to be in my control…and that is a good thing. A really good thing. Will you trust Him with your files? God has not forgotten about you. He is waiting for you! Bring Him the files and let the sifting and restoring process begin and watch Him blow you away with His kindness. And let’s keep signing of the Lord’s great love and faithfulness through the different seasons of life. New Years Resolutions, Goal Settings, and Word Picking: And the Defeat, Discouragement, and Weariness that may come with them. Feeling defeated, discouraged, or even weary does not mean that you are disqualified or no longer eligible to have resolutions, set goals, get a word from God and keep taking steps, even if only baby steps toward them. Don’t you give up, sweet friend! The beauty of God’s mercy and love is that it doesn't only come at the beginning of every year or the beginning of every week. God’s mercy and steadfast love is new every morning (Lamentations 3:22-23). Every day, every minute, every second is a good time to get back on your feet and take that next step and move forward and closer to God. Sweet friend, please don’t believe the lie that you are alone in this battle. Remember, my encouragement to you today (as it is pretty much every time) comes from the need to remind myself of something. You see, it wasn't until well into this week that I finally decided what my resolution would be. And the reason I needed a resolution instead of just goals came out of already feeling the failure to meet my goal for the year only a few days into it. And not meeting my goal so soon after setting it was not because God had not whispered the word I would be choosing to work through this year well in advance, and then, because sometimes whispers are not enough (That is not always the case but…just keeping it real here), He had it repeated time and time again throughout the entirety of my wonderful pastors sermon last week. Kindness, my word is kindness. And it was a word that came out of a weary heart from dealing with some unkind words and the people that accompanied them words find their way to my heart. During this times, I remember thinking to myself, “Be nice, Gina, remember Whose you are.” And just as I would think that to myself, God would whisper, “No, my girl, be KIND because of Whose you are.” I mean what do you say to that, especially when you know its the truest of truest conviction! You see, I believe that for the most part, we can all make the effort to be nice, and we should. However, kindness? That is a whole other word. So trust me, friend, you are not alone. But we can’t leave us there. I want to encourage you to do what I ended up having to go back to do as I made time to have intentional time with God in His Word and find your resolve, ask God for a word, and set some tangible goals...and don't forget to be kind to yourself. I am convinced that every setting of a goal has to start with a resolution if its a goal you want to keep. No way around it. I keep hearing more and more about people setting goals instead of resolutions. I get it. But here is what I was reminded of and why I believe that every goal must start with a resolution, a resolve. A resolve means that you have identified an area that needs improvement and committed to doing something about it (like my need to be kind and not just nice). Our resolve comes from our convictions (from our claim about Whose we are, God’s). Our conviction is what propels us into action and not give up on our goals when temptation comes our way and we are tired. Our resolve is what keeps getting us back up from discouragement, defeat, and weariness. Our goals are the aiming point, the crossing line at the end of the track. And like it or not, they need to be set in order to be achieved. As a good friend of mine often said, “If we keep aiming at nothing, we will hit it every time.” So let's choose wisely and set goals worth our aiming for. Ask God to give you a word to go with it. Our word will help us to stay in our lane and keep our focus when it gets hard or we become distracted by our circumstances. The moments when we start losing our momentum and our joy starts being sucked out of us when we make the mistake to compare ourselves with other people on the track instead of running our race and cheering each other on. To keep letting this little light of mine shine for God’s glory (Mathew 5:16-11. Yes, in that order). Kindness. Being nice requires much effort and yes, we should be nice. However, kindness requires sacrifice and humility. Ouch! Bonus thought on nice vs. kindness? According to my research, the word nice is nowhere to be found in scripture. Yet the word kindness is found all throughout the Old and New Testament. Nice is, nice. Kindness wins:)! Sweet friend, don’t lose heart. Find your resolve, set goals, ask God for a word to work through. Don’t you give up! stay in the race and be sure to cheer a sister on! I was enjoying a cup of coffee and watching the kids run around the yard recently. All of a sudden a section in our yard caught my attention. It appeared as if one part of the grass was "greener" than the other. I say, "appeared," because it wasn't actually greener. The reality was that one section had the sun beating on it while the other section had trees providing shade and causing a deeper, richer, "greener" look. It caused me to think. Another section in our yard caught my attention later in the day. This section was not necessarily "greener,” but seemed it wasn’t as dense as the rest of the lawn. It was a small patch in which the grass had almost died during a time that not enough water or sun had been getting to it. The patch had been reseeded and was in what I like to call "baby grass" stage. During that time, the grass requires more watering than normal and is a bit lighter shade of green, yet, still green. It caused me to think. I couldn't help but ponder that we often do that in our lives. We often find ourselves enjoying the beauty of God's creation all around us, taking it all in only to start noticing what would appear to be a "greener grass" in someone else's life. Especially during seasons in which we allow the busyness of life to get in the way of our water source and sunshine, quiet time with Jesus and remaining in Him. It reminded me of the famous saying, "the grass is always greener on the other side of the fence". It caused me to think. The grass is only greener where it gets watered. Remain in Him. When we remain in Him, we don't have to worry about what shade of green our grass should be, or the expectations put on us by ourselves or others. We are HIS and for His glory alone. When we do that, remain in Him, we bear His fruit. When we remain in Him, and HIS Word remains in us, He gives us the desires of our hearts because they are His desires for us. When we remain in Him, His joy becomes ours and we find fulfillment and peace in spite of what the circumstances in our lives may be. When we remain in Him, and His Word remains in us, the world will see that we are His disciples...because we remained in Him. When we do this, the Father is glorified in our lives.